A Pressure group based in Osun State, Development Advocacy Group, DAG has berated politicians who rely on shortcut victory through hook and crook, saying Democracy can only thrive where the will of the people is not subverted. DAG was reacting to alleged violent posture of the opposition elements to disturb the peace of the state over the judgment of the Election Petition Tribunal on the 2018 Osun governorship election. The group pointed out that their Lordships in both the majority and dissenting judgment acted within their inherent powers at arriving at their considered decisions one way or the other. 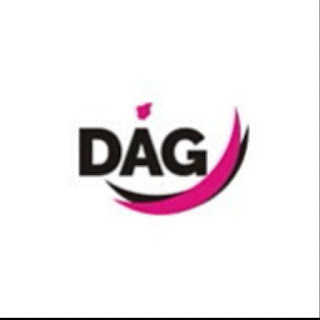 DAG said while the majority judgment is respected as a result of high esteem it held the judiciary, it strongly believe that the judgement can not stand the test of time at the appellate and supreme court base on the provision of the 1999 constitution and section 40 of the 2011 Electoral act as amended. According to a statement issued by the group's spokesman, Wasiu Ibrahim, the attitude of the opposing party by deliberately misinforming some of its "ill informed members and the attendant celebration as a manifestation of their desperation for power and seizure of same through back doors"
The group urged politicians that rather than engaging in any untowards activities inimical to the peace being enjoyed in the state since the emergence of the incumbent administration, they should allow the adjudication process run its full course for the correct interpretation of the law. DAG affirms that the prevalent peaceful polity in Osun since the coming of Mr Gboyega Oyetola attest to the wish of the people expressed at the poll, while his exposure and civility had further manifested commitment to promoting rule of law and democracy. While reiterating its support to good governance in a peaceful atmosphere, DAG condemned serial attacks purportedly coordinated by opposition party in some areas in Osogbo, aftermath of the tribunal judgements.
" We strongly believe that Independent National Electoral Commission (INEC) acted properly in accordance with existing laws in the conduct of September 22 and 27 supplementary election, and despite the tiny margin, the election reflected the popular wish of the people and we are so confident that the higher court will do justice in reinforcing the popular mandate of governor Oyetola."